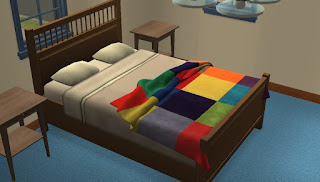 -TS2 bedding, carpets, an Ikea rug and the Freetime wall quilt. 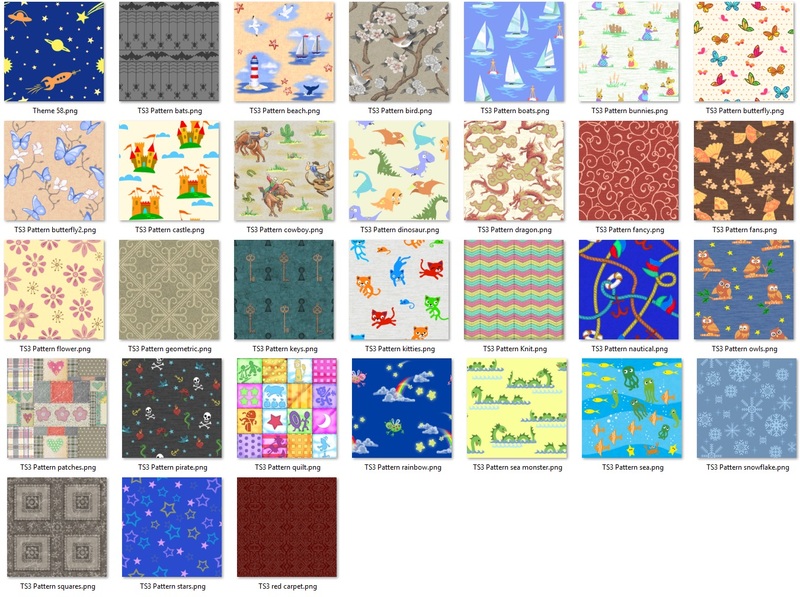 - Custom beddings by a number of creators including Shastakiss and Chimerical, plus others that I’m sure of- I raided my custom bedding folder! The above swatches are included in the download, so you can easily pick and choose what to keep. I have also included the meshes (double bed and slaved single bed) for convenience.